These days, the word iconic gets tossed around far too easily. Every time Ariana Grande breathes? Iconic. Every semi-viral tweet is iconic. And don’t even get us started on beauty products. Is there a new lip gloss launch that everyone on Instagram seems to be fond of? Iconic. 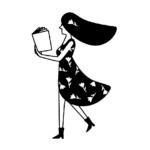 However, there are certain beauty products that have rightfully earned the title. Ask a few beauty editors for their list of iconic products and you’re guaranteed to hear many of the same products named again and again. One of those products is Benefit Cosmetics Hoola Matte Bronzer. 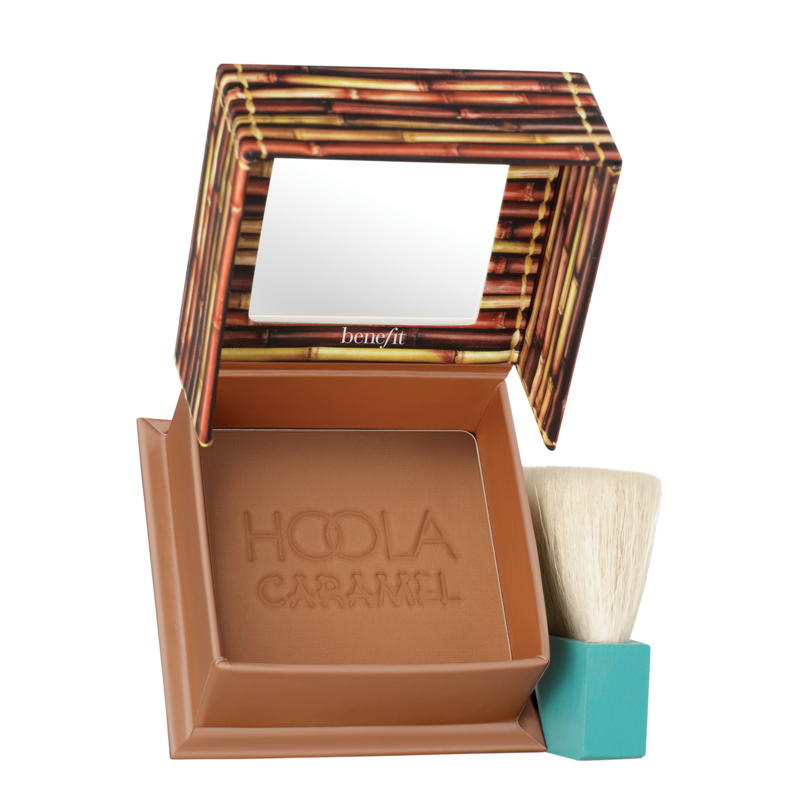 In fact, a couple of years ago, the brand noted that one Hoola Bronzer sold every 10 seconds worldwide, making it one of the best-selling bronzers on the planet. 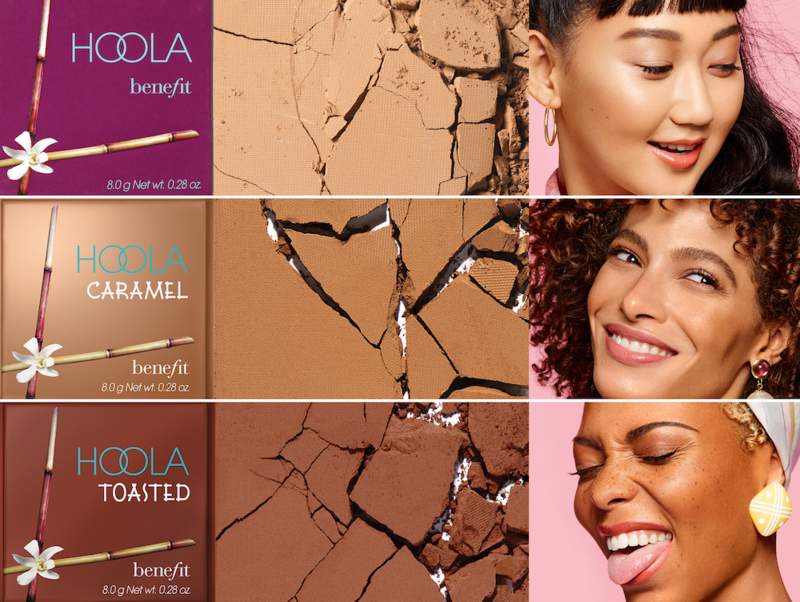 And though Benefit Cosmetics Hoola Matte Bronzer has seen some expansions, like Hoola Lite, a lighter shade for fair skin tones, which came out in 2017, and Dew The Hoola, a liquid formula, fans have noted that the line was missing Hoola shades for deeper skin tones. Well, Benefit Cosmetics listened and is delivering. Soon, you’ll be able to buy Hoola Caramel and Hoola Toasted, matte bronzers for medium and deep skin tones, respectively. The two new permanent additions to the Hoola line will be available on February 26th online and March 1st in stores. But that’s not all. Benefit is also launching two limited-edition palettes called Cheekleaders. Available in Pink Squad and Bronze Squad, each palette features five full-size blushes, bronzers, and highlighters, including three brand new shades. The Cheekleader palettes each feature $150 worth of product, but will be sold for only $60 (!!!). The palettes will launch at the same time as the new Benefit Cosmetics Hoola Matte Bronzers, so set your calendars for February 26th.